Liberals love to bemoan all of the hardships that illegal immigrants face, conveniently leaving out the reason why: they’re criminals who broke the law and illegally entered this country. 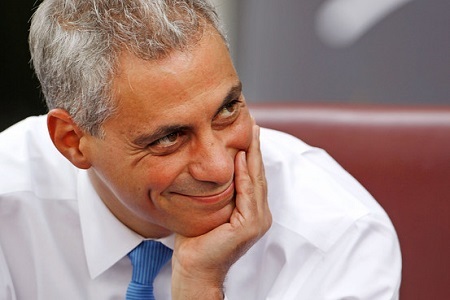 But no worries — Obama’s favorite corrupt politician, Rahm Emanuel, is here to offer them jobs and internships because of their criminal behavior. Because why not reward criminal behavior with benefits and opportunities not given to American citizens or immigrants who came here legally? It’s clearly a great idea to give illegal immigrants incentives to not only go to Chicago, but to continue to enter the United States illegally — far from being sent to jail, they’ll be given tons of free handouts instead. Sounds like a pretty good deal. Also see: Are The Smurfs Little Blue Godless Commies?